Home / Uncategorized / Will you be my Valentine? 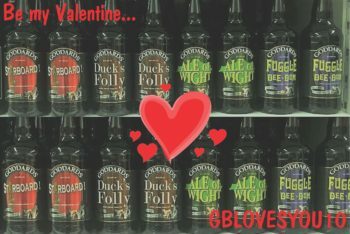 Are you planning on treating your Valentine this year with some Goddards brew? We have good news for you as we are offering 10% off on orders via our online shop! Just enter our voucher code GBLOVESYOU10 at the checkout! Offer available until close of play 12th February 2019!